Epcot&apos;s "Frozen" ride at Disney World is one of my family&apos;s favorite attractions. But I&apos;ll admit a few moments during the ride were a little scary for my youngest daughter, who is 3. That&apos;s why, when I saw a photo Tennessee dad Ryan Dunlap shared of his 1-year-old daughter Poppy looking more than just a little freaked out while riding in one of the attractions&apos; Nordic-inspired boats, I had to laugh. Out loud. 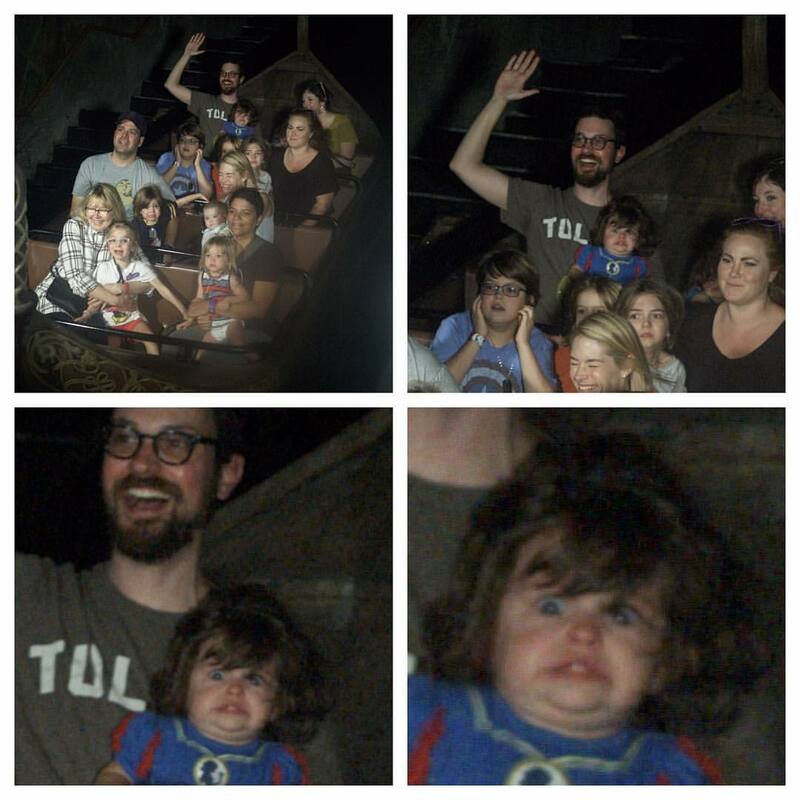 I&apos;m not the only person whose day was literally made upon viewing the series of four images of the tot and her dad on the ride. When Dunlap posted the pics to Reddit, writing, "I enjoyed my daughter&apos;s first Disney ride more than she did," they quickly went viral. Of course, during the ride itself, Dunlap was under the impression that Poppy was enjoying herself. "I thought she was doing great!" he told The Huffington Post. Later that night, when he saw the photos that were taken during the ride, he and his family, and friends, got a good laugh. And Dunlap knows exactly when the side-splitting shots were snapped. He explains, "Poppy is usually very relaxed, so she was just looking around at everything. Then we came to a dark part of the ride, and I guessed there would be a photo moment, so I lifted my arm for the photo. Usually when it&apos;s dark, she opens her eyes really wide, and I think that ― mixed with the camera flash and sudden acceleration for the small drop ― created that face." It&apos;s definitely a priceless moment, even if capturing sheer terror isn&apos;t exactly what the Dunlaps were going for when they took their daughter on the family-friendly ride. "Overall, I think it will make for a fun family story that we can tell her that she was Internet famous for a day," the dad said in the end. Yup, it&apos;s all in good fun. And trust me, Poppy will probably be begging to go on "Frozen" again the next time the family visits Disney World, as my daughter did, even though she was more than just mildly alarmed on her first go-round!